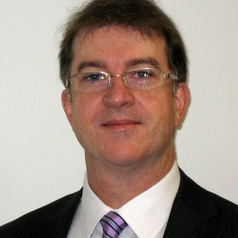 Jeffrey Knapp has been with UNSW since 2007. Jeffrey’s background is in income tax (Coopers & Lybrand), financial reporting and audit advice (the Institute of Chartered Accountants in Australia) and teaching consolidation accounting (Macquarie University). Jeffrey’s strengths are his knowledge of accounting standards and his forensic ability to uncover financial reporting irregularities. Jeffrey is one of Australia’s most active media commentators on financial reporting regulation and practice. During 2010-2015, Jeffrey has publicly exposed omissions and irregularities in the financial reports of various large Australian companies that are politically and/or economically important.